"The drone is in normal status. All is ready. Patrol can go ahead". 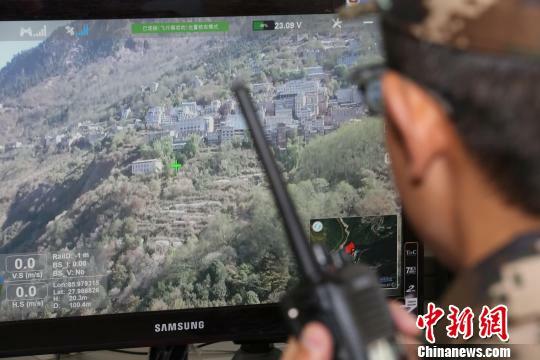 Then the start button was clicked by the operator; the drone automatically took off and started its patrol according to the preset route. 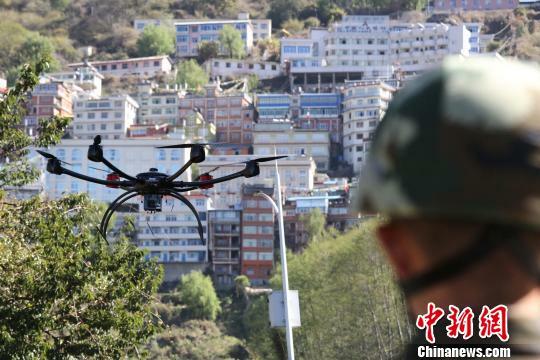 The orders were given and carried out on April 11 by a frontier inspection station in Nyalm, which is a border county located in southwest China's Tibet Autonomous Region and where the new KWT-X6M six-rotor drone was used to patrol the earth-struck Zhangmu port near the China-Nepal border. Zhangmu is located at the southern foot of the Himalayas on the China-Nepal border, and it was once Tibet's only national-level land trade port. Before the earthquake occurred in Nepal on April 25, 2015, over 90% of Tibet's border trade and China's trade with Nepal took place here. Its prosperity earns it the reputation of "Little Hong Kong". Subjected to the unstable geological conditions caused by the earthquake, Zhangmu port is still closed till today. However, the border security officers station there all the time to perform their duty. It is understood that the drones have greatly expanded the border patrol scope, eliminated blind spots and dead ends. Apart from border patrol, it will also be used for geological surveys, evidence collecting, and anti-terrorism etc.